Indoor Billboards are extremely effective, yet amazingly affordable. 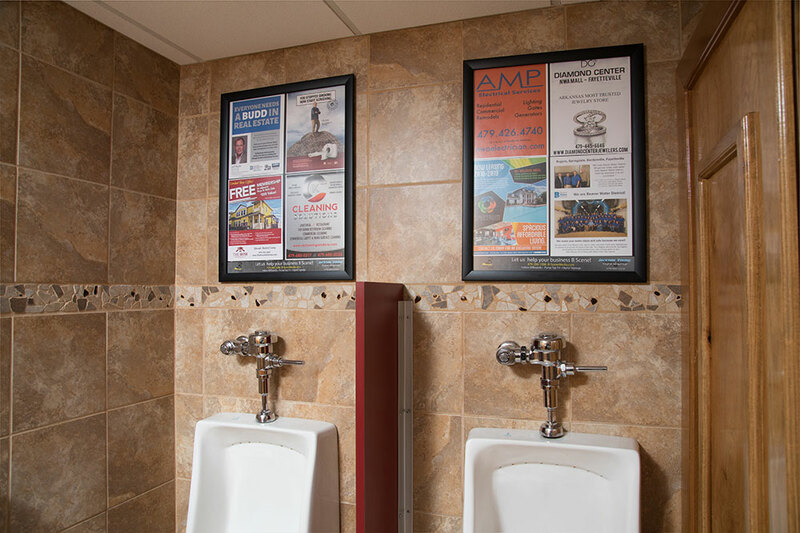 Located primarily in restrooms of high traffic restaurants, bars, clubs, fitness centers, & sports venues, they simply can’t be ignored. Indoor Billboards target audiences by geography, gender, & lifestyle. Your budget is not wasted reaching people outside of your desired demographic. Messages are received clearer and retained longer because you are reaching consumers when they are free of distractions. Studies show 92% of consumers can recall specific advertisers seen in restrooms. Indoor Billboards help win the battle for top of mind awareness, giving you the edge when the consumer is ready to make a purchase.